New to the collection, the Fulton long sleeve v-neck ribbed bodysuit will be your go to all season. Fits true to size. Snap closure at base. The Bedford is Alix's classic short sleeve bodysuit with perfectly placed V-neck. Made from the softest ribbed jersey and updated with a seamless thong bottom, snap closure at base. True to size. 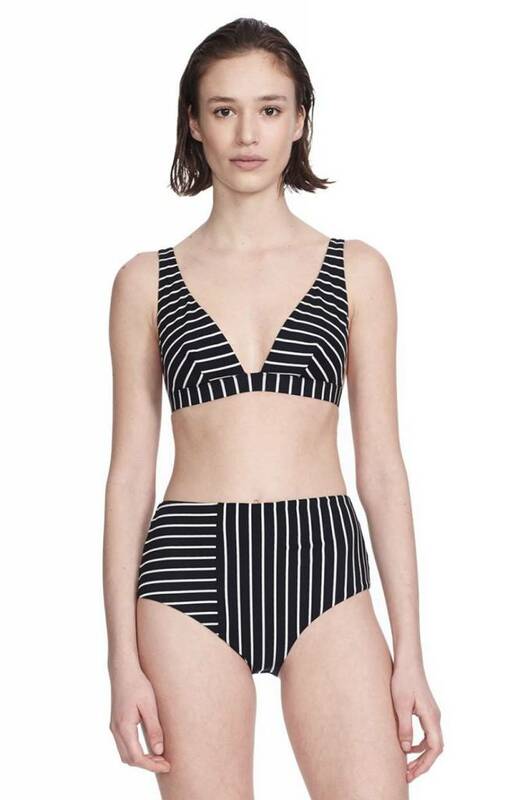 This classic spaghetti strap one piece from Alix NYC is both timeless and modern. Featuring a low scoop back and high-cut leg for a flattering elongating effect. Fully lined for extra coverage and support. If between sizes, go one size up. Part of Alix's new metallic knit collection the Barrow long sleeve turtleneck bodysuit is perfect for those moments when your highlighter is just not enough. Fits true to size. Snap closure at base and thong bottom. A scoop neck tank bodysuit from Alix NYC made from mid-weight jersey with a shelf bra for extra support. Fits true to size. Snap closure at base and thong bottom. The Shore Club Pant from Alix NYC is the perfect transitional piece to throw on over your favorite swimsuit after a fun day at the beach. Made from a linen blend, these are perfect for post-beach dinners. Fits true to size. Alix revamped the Dean, part of their new metallic knit collection this piece is perfect those moments when you need something effortless and easy, but still need to stand out. Fits true to size. Snap closure at base and thong bottom. Alix's classic low rise is now reversible! The Collins bikini bottom pairs perfectly with any top and exposes just the right amount of cheek. Fully lined to ensure the perfect coverage and seamless fit. Fits true to size. Comfortable and chic, the new Sutton off-the-shoulder bodysuit features a subtle sweetheart neckline and thumbholes. Made from Alix's classic ribbed jersey. Fits true to size. Snap closure at base and thong bottom. Flex your style with the Thompson muscle tee bodysuit, made with the softest jersey for ultimate comfort and wearability. Whether you are wearing it to bed or with your favorite denim, it is the tank that won't untuck. A new addition to the swim collection, the Sheridan offers a sporty alternative to the traditional one piece. Featuring a high neck, asymmetrical back cutout lined for extra coverage and support, this swimsuit fits true to size. The sporty, high-cut Española bottom from Alix NYC elongates the legs for a flattering effect. Fully lined to ensure the perfect coverage and seamless fit. Fits true to size. Part of Alix's new velvet collection the Sylvan long sleeve turtleneck is a head turner with plunging back yoke and button neck closure. Snap closure at base and thong bottom. Fits true to size. Decide how low you can go with the Spruce zip v-neck bodysuit. Made from Alix's classic jersey this suit features ring fastener and thumbholes for extra comfort and style. 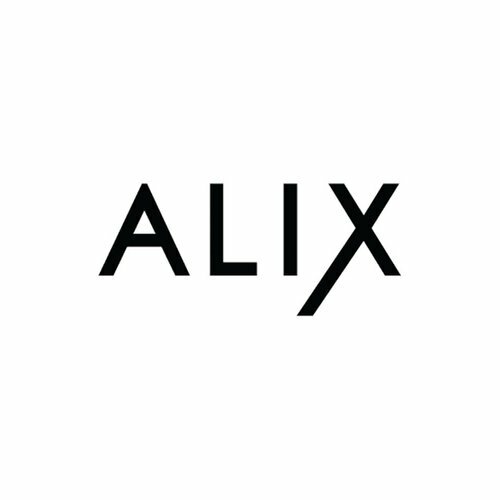 The Essex Bodysuit from Alix NYC is a short sleeved bodysuit made with the softest jersey for ultimate comfort and wearability. Wear it with your favorite denim or as loungewear.Fits true to size with snap closure at base. Available in White and Black. Alix's sporty, high-cut Española bottom elongates the legs for a flattering effect. Fully lined to ensure the perfect coverage and seamless fit. Fits true to size.